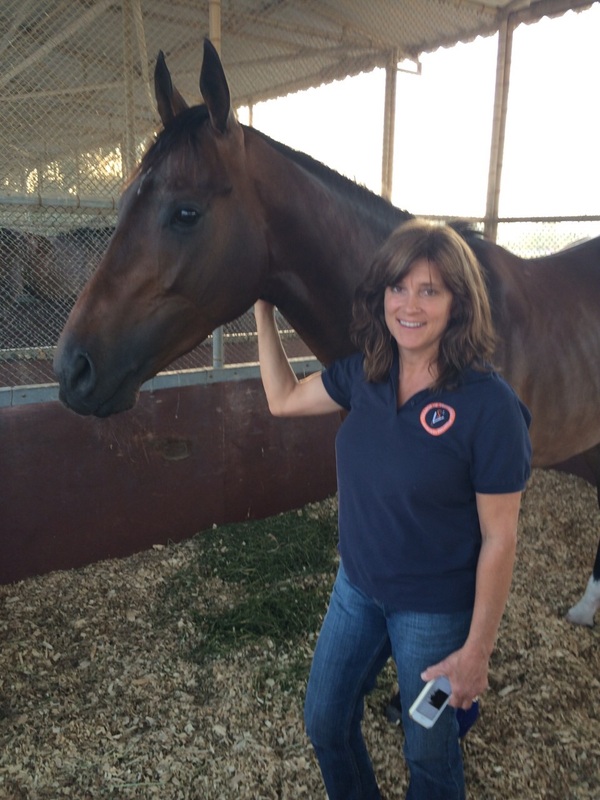 Research being conducted by the Auburn University College of Veterinary Medicine faculty member Dr. Debra Taylor on whether training thoroughbred racing horses without shoes can improve their hoof health and performance could have a significant impact on the horseracing industry. Taylor, an associate professor of equine medicine in the Department of Clinical Sciences, recently returned from Dubai, in the United Arab Emirates, where she was hosted by world renowned race horse trainer Mike De Kock and veteran farrier Declan Cronin, who assists De Kock in his training, to evaluate characteristics of the hoof as De Kock and Cronin conducted their training. The research could be of vital interest in the racing industry, considering Kentucky Derby entry Mubtaahij, trained unshod by De Kock and Cronin, will be one of 20 horses running in the 141st Derby Saturday. Mubtaahij won’t race in the Derby unshod but he has remained unshod at almost every other point of his training since he was a yearling, when De Kock acquired him for Sheikh Mohammed Bin Khalifa Al Maktoum of the Dubai Royal Family. Dr. Taylor didn’t work with Mubtaahij in her research, but worked closely with De Kock, Cronin, and in conjunction with Dr. Thilo Pfau, of the Royal Veterinary College in the United Kingdom, to determine if the training and research conducted on De Kock’s barefoot thoroughbreds will lead to improved health and longevity, not only for race horses, but all horses. “I met Declan a few years ago at a hoof conference held here at Auburn, and he already knew Mike, so we established a connection,” Dr. Taylor said. Cronin implements his methods based on the theories of Dr. Robert Bowker, founder of the Equine Foot Laboratory at Michigan State University’s College of Veterinary Medicine, and Pete Ramey, a renowned farrier who experimented with leaving his horses unshod and founded Hoof Rehabilitation Specialists. They both believe that leaving horses unshod could improve overall hoof health and longevity for horses. Both Dr. Bowker and Ramey were mentors to Dr. Taylor and Cronin. Common practice in the racing industry is to leave horses shod at all times, but De Kock believes there is potential in Cronin’s methods. Dr. Taylor reached out to Cronin, asking to come and evaluate his horses, and to collect data to see what effects leaving the horses unshod has. “What we are doing is trying to advance hoof development through natural stimulus,” Dr. Taylor said. “It’s derived from Dr. Bowker and Pete Rameys’ work: the key event in hoof development is hypothesized to be when the hoof makes contact with the earth. Dr. Taylor said that they are currently analyzing the data compiled, and should have the results by fall. Dr. Taylor examines a thoroughbred’s hoof.